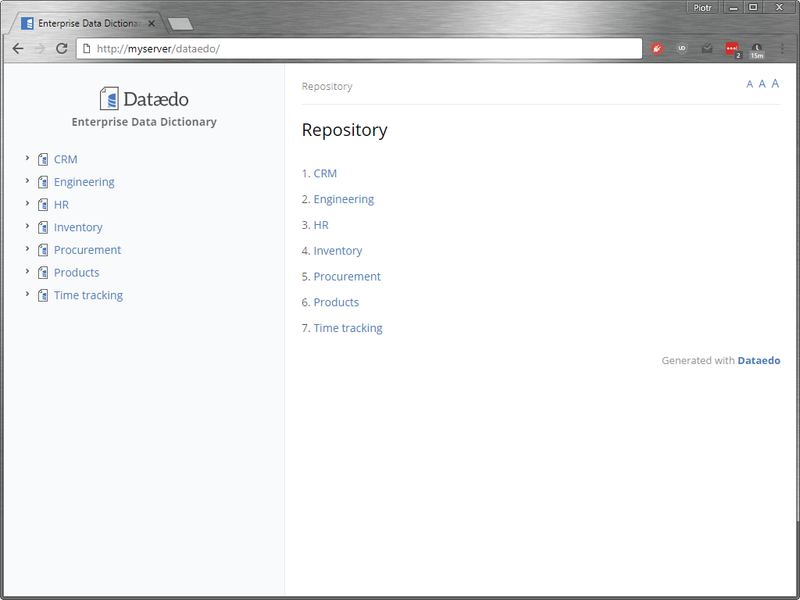 One of the defining features of Dataedo is its HTML documentation export which allows you to easily share your documentation with your whole organization. You can host exported HTML on any web server available in your network or over Internet. This is a guide on publishing your exports on popular web servers. Any web server with admin access (to publish html files). First, you need to export your documentation to HTML. 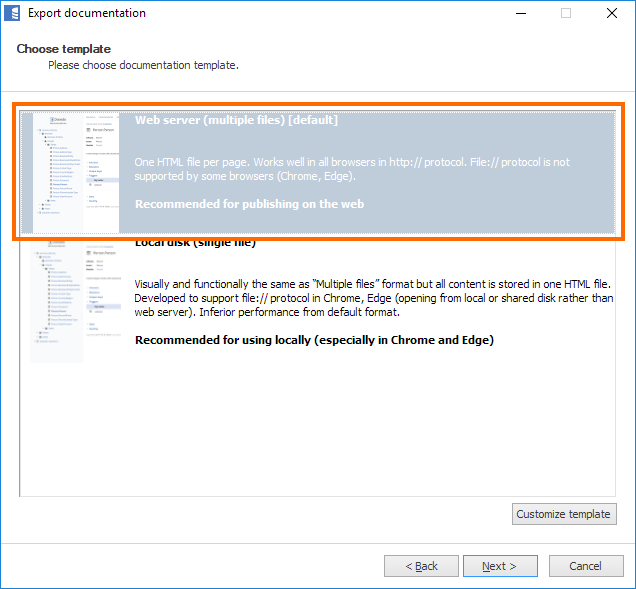 To publish documentation on web server you need to use the Web server template. If you don't have a web server in your environment, you can install Microsoft IIS server (requires Windows, a step by step guide can be found on Microsoft Technet) or a ready made stack containing Apache web server (like the one from Bitnami). Dataedo HTML export creates a set of static web pages, and will not require special setup for most web servers. As Dataedo HTML export creates a static web pages, in most cases it's enough to copy the exported files to the relevant folder. To update documentation just overwite the files with your new export. 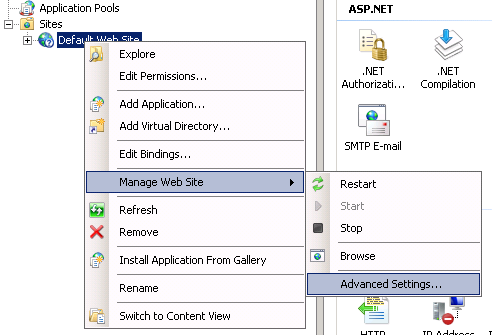 Hosting on IIS you first need to create a site - a step by step guide can be found on Microsoft Technet. 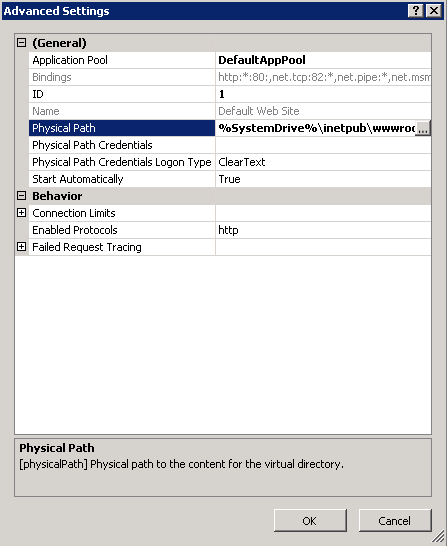 After creating a site, note the Physical path setting - this is the path where you need to place the exported files. You can find this setting later on by right clicking the site you've created, then choosing Manage Web Site and Advanced Settings. The Physical Path variable will be visible in the General group. If you want to provide your team with most up to date documentation you'll probably want to automate the proces of exporting and publishing. 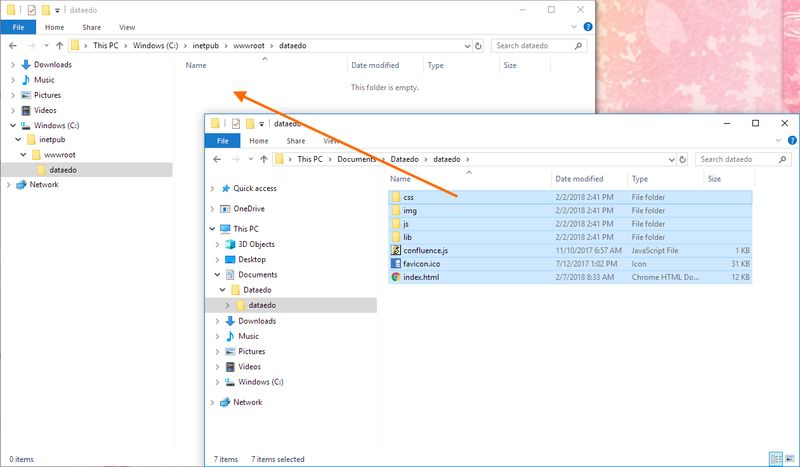 The first step would be to create a Dataedo command file - this is a file that will be a parameter to running Dataedo exprort from command line. More about this here. 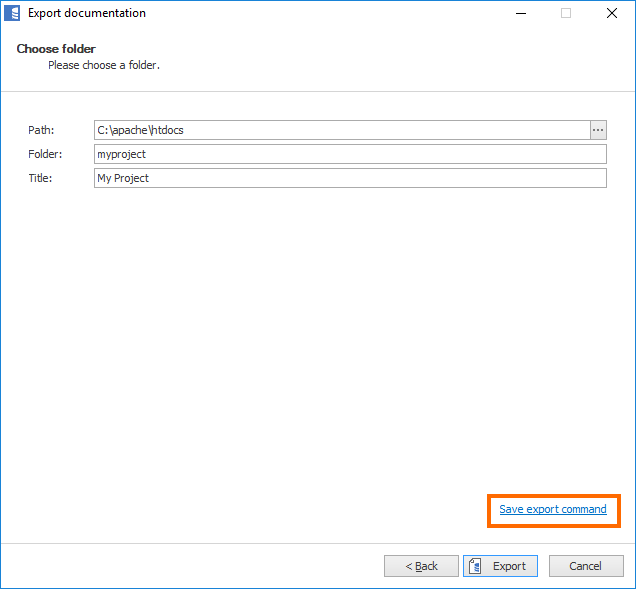 To create a file choose Save export command file option in the export wizzad. Then you need to edit the command file. To make sure old export gets overwritten, find the Overwrite node and change its value from false to true. Check the OutputPath and make sure it points to the right export folder. Then create a batch file that will call the command file, then using %errorlevel% variable check whether the new export was succesful and only if it was, overwrite the old export with new files. SET ddo="C:\Program Files (x86)\Dataedo 6\Dataedo6.exe"
Then schedule a task in your system (for instance with Windows Scheduler) that runs this script. You can find more details here: Automate Dataedo with commandline execution.